Welcome to the official website for Unresolved, an investigative podcast that aims to tell stories which have no ending. Whether they be true crime, paranormal experiences, mythological figures, conspiracy theories, or more typical "unsolved mysteries," Unresolved hopes to address these stories in a thoughtful way. One of Unresolved’s most ambitious series of episodes, a detailed account of the high-profile investigation surrounding the elusive Zodiac Killer. Unresolved’s longest episode to date, a deep dive into the 2001 Anthrax Attacks and the prolific investigation that followed. Learn about one of the most violent prison uprisings in American history, which many credit for the widespread prison reform of the 1980’s. What is a hoax? It is often used alongside phrases such as "conspiracy theory" or "urban legend," but a hoax is a purposeful deception meant to fool several people. This can manifest itself in several ways: some hoaxes are harmless, little more than jokes... but others can carry serious real-world ramifications. 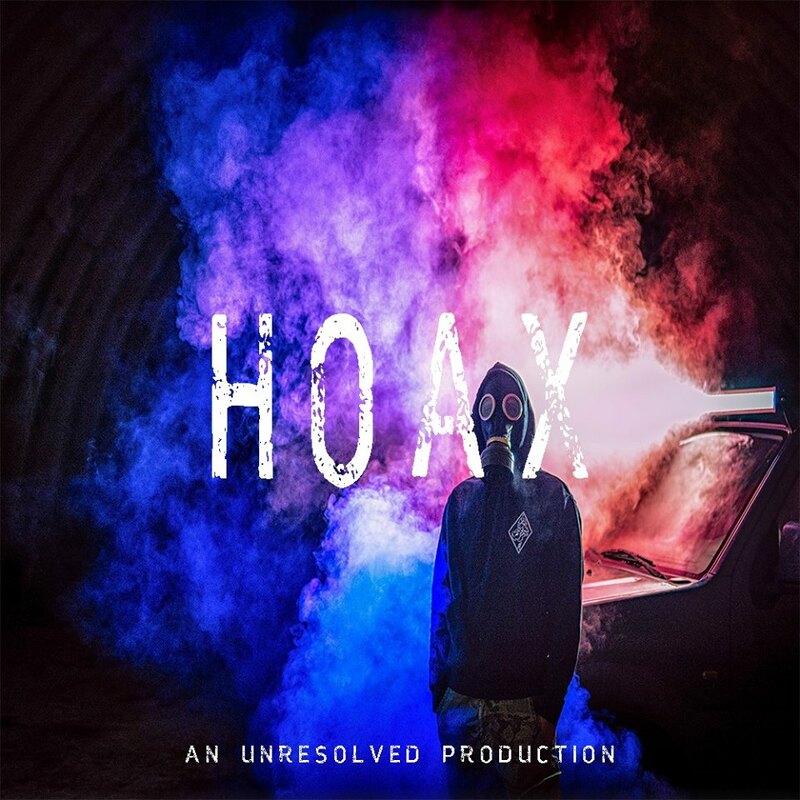 Hoax is a podcast series from the creator of Unresolved. Centered around some of history's most infamous and intriguing cases, Hoax dives deep into the stories of the people who craft these deceptions... and the consequences that follow.